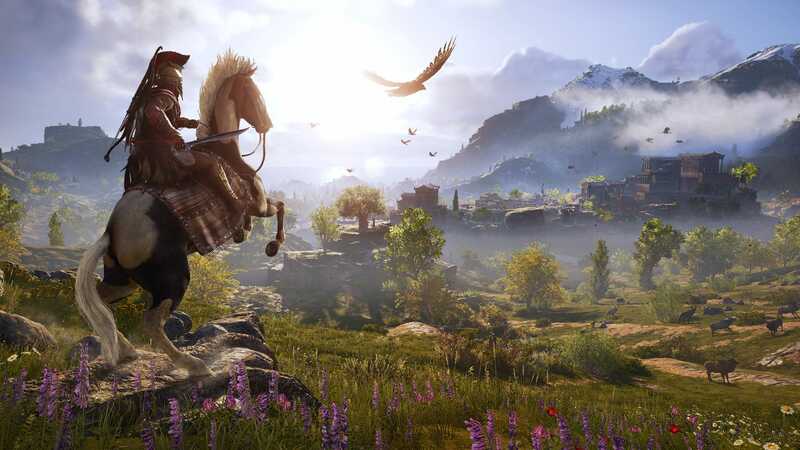 ‘Assassin’s Creed Odyssey’/UbisoftVideo games like ‘Assassin’s Creed: Odyssey’ usually require expensive consoles, but that could change soon. Google’s ProjectStream lets you play blockbuster video games with your internet browser, if you’ve got a strong enough internet connection. 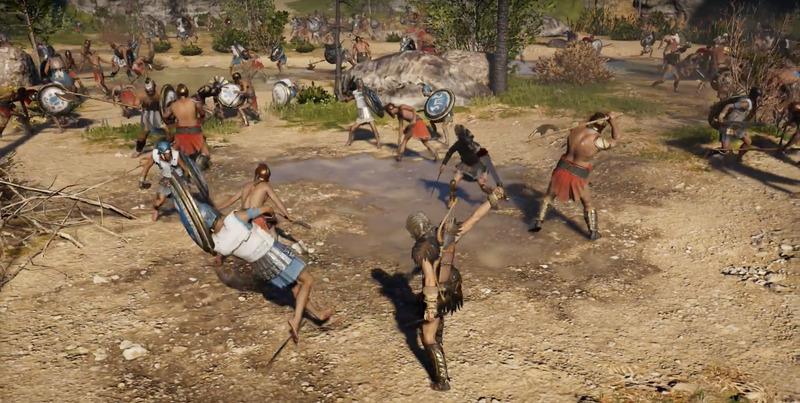 Using ProjectStream, the visuals and controls of “Assassin’s Creed: Odyssey” match the look and feel of playing the game on PlayStation 4 or Xbox One. Developed by Ubisoft, “Assassin’s Creed” is the sort of blockbuster game that would traditionally require a $US400 console or gaming computer to play. ProjectStream significantly reduces that barrier to entry; the sole requirement is a 25 mbps or faster internet connection, and controllers are optional. Having already played “Odyssey” on PlayStation 4, I was sceptical of how ProjectStream would compare to the console experience. After all, ProjectStream isn’t the first cloud-based video game streaming service and the technology hasn’t been a hit so far. Sacrificing graphic-quality or settling for less responsive controls has felt like a requirement for past cloud gaming services, and performance varies greatly depending on the game. 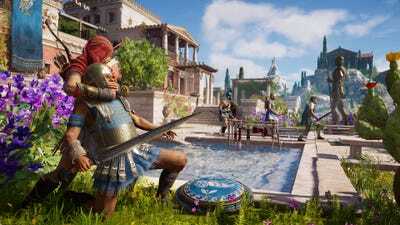 Given that “Odyssey” is a brand new game with a huge open world, I was sceptical whether ProjectStream would be able to keep up. 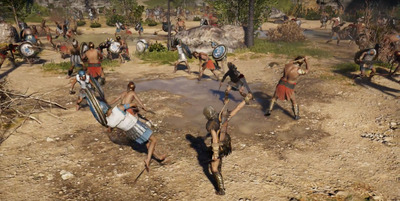 ‘Assassin’s Creed Odyssey’/UbisoftProjectStream handled the large scale battles in ‘Odyssey’ without issue. Playing for the first time on a MacBook Pro, my concerns were quickly put to rest. At its best, ProjectStream’s version of “Odyssey” felt identical to playing on PlayStation, the game immediately recognised the PlayStation 4 controller I connected via Bluetooth and showed the correct button icons on screen. There was no noticeable delay in the controls and the visuals seemed overall consistent with what I saw on PS4, though “Odyssey” does have additional support for 4K and HDR on consoles and PC. 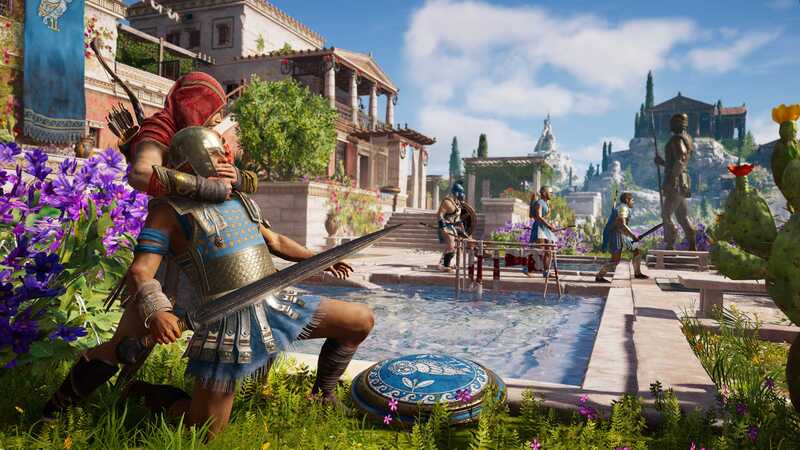 ‘Assassin’s Creed Odysessy’/UbisoftUsing a brand new game like ‘Assassin’s Creed: Odyssey’ was the perfect test for ProjectStream. Consistency is the most encouraging factor of ProjectStream. 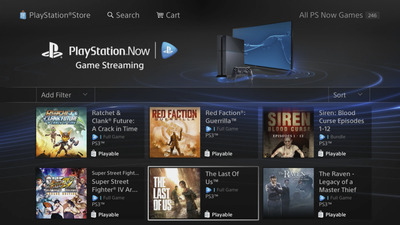 Knowing that the experience playing via the Google Chrome browser matches console gameplay regardless of the computer I’m using – as long as the internet speed if fast enough – is great motivation to leave my PlayStation version of the game behind. ProjectStream also carries my game save over automatically so I can easily continue where I left off, whether I’m playing at work, at home, or at a friend’s house. Unfortunately ProjectStream doesn’t work on smartphones or tablets just yet, but it would be surprising if Google can’t find a way to make the service functional on their own Android devices. ProjectStream represents a convincing jump in cloud gaming technology at a time where gamers are wondering if the next generation of video game consoles will prioritise streaming content over traditional media. ProjectStream takes advantage of Google’s massive server infrastructure and development resources, showcasing a beta product that gamers can be confident in. But even if the technology can match the experience of an Xbox or PlayStation, the next important step will be finding a way to deliver a full library of new and old video games at a price that makes sense. 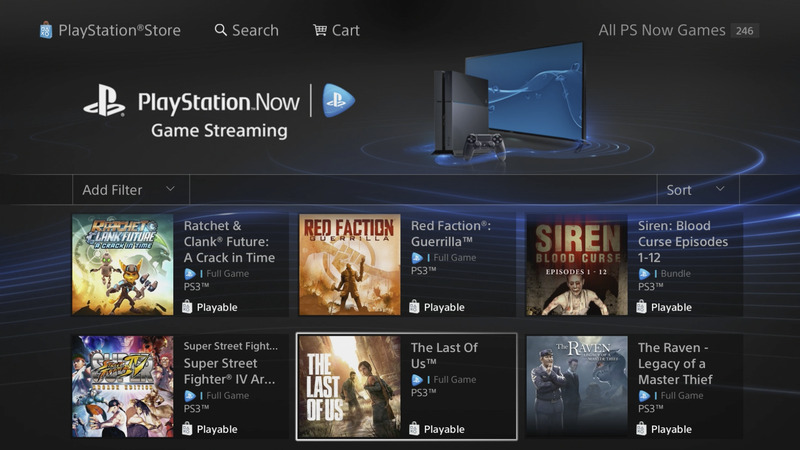 SonyPlayStation Now has offered cloud gaming for years, but doesn’t include the latest titles. Google will also be competing head-to-head with endemic video game brands as it enters the game streaming space. So far the most functional cloud gaming options have been Sony’s PlayStation Now and Nvidia’s GeForce Now, but neither service feels like a true alternative to buying an expensive console or PC. PlayStation Now offers a preselected library with hundreds of games for $US20 a month for PS4 and PC, but newer titles are not included. GeForce Now gives players access to specific titles they have already purchased for their PC library and charges $US25 per 20 hours of streaming time. For reference, “Assassin’s Creed: Odyssey” costs $US60 to own and takes at least 30 hours to complete. MicrosoftMicrosoft plans to bring cloud gaming to mobile devices. During its 2018 keynote, Microsoft executive Phil Spencer teased that the new Xbox devices would make use of cloud gaming as well. Spencer said the company’s goal with Project xCloud is to reach the two billion people playing games around the world, regardless of the hardware they play on.